Eight months after he was taken with the first pick in the 2018 Draft, Casey Mize will get a glimpse of life as a Major Leaguer in Spring Training. Detroit's top prospect was invited to big league camp Monday, according to the club. Mize concluded a standout collegiate career by going 10-6 with a 3.30 ERA, 156 strikeouts and only 16 walks across 114 2/3 innings. MLB.com's No. 18 overall prospect signed with the Tigers on June 25 and was assigned to the Rookie-level Gulf Coast League, where he tossed two scoreless innings in his lone start. 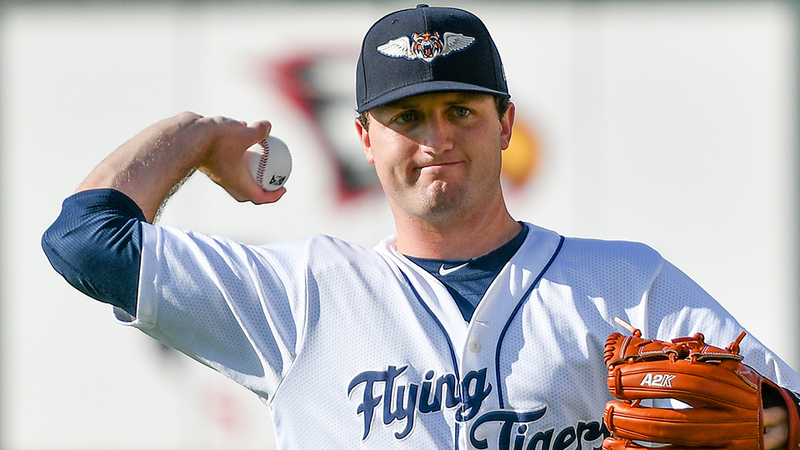 The right-hander was promoted to Class A Advanced Lakeland and debuted with a scoreless effort over three innings on July 31. Due to his heavy workload at Auburn, Detroit kept Mize to a strict pitch count -- he tossed season highs of 52 pitches and 3 1/3 innings during his final two starts with the Flying Tigers. He finished with a 3.95 ERA and 14-to-3 strikeout-to-walk ratio across 13 2/3 frames and five starts for Lakeland before Detroit shut him down following his start on Aug. 16. "He's been throwing since last October and he's wearing down, running out of gas," Tigers vice president of player personnel Dave Littlefield told The Detroit News in August. "As we said when he first signed, we wanted him only to throw 15 or 20 innings, something in that range, and we're very comfortable with the decision." Tigers pitchers and catchers report to Spring Training in Lakeland, Florida, on Feb. 12 and will have their first official workout the following day.